Pop Quiz: Are You Looking For A New York Criminal Lawyer Or Trying To Find Someone Who Has Been Arrested? My Loved One Will Be Arraigned Soon, What Should I Know? I Am Trying To Hire A Lawyer RIGHT NOW!! The Attorneys at the Law Offices of Oeser-Sweat, P.C. have done lots and lots of Arraignments. 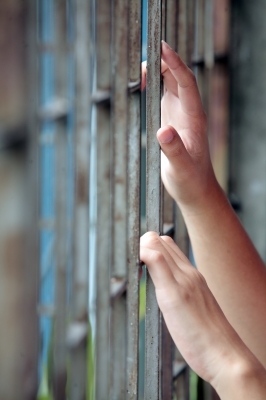 We can help you get through the Arraignment Process and to fight to protect your RIGHTS! Click For Our Firm Site! 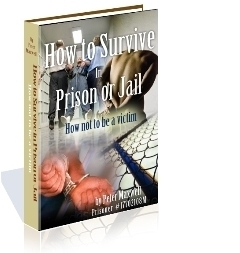 Bail Arguments will decide whether someone who is arrested will go home or stay in Jail! We know the arraignment process and will fight to get you or your loved one the best situation possible! Click For Our Firm Site!Click For Our Firm Site! A New York Criminal Defense Lawyer describes steps that loved ones and family members of someone arrested in New York City should take to help get that person home quicker after he or she has been arrested. These items will help one track someone from arrest to arraignment. See our full video that describes the process from arrest to arraignment for more information. The information contained on this site is written by a criminal lawyer and is not intended to create an attorney-client relationship, but rather, to give information to individuals who are trying to find people. Are you looking for someone? Are you asking “how can I find people” who were arrested? This site was created by a criminal lawyer to help answer the question: How do you find people who were arrested? If you are looking to find people, click the below links for information that can help you find people arrested in New York City. How Do You Get A Lawyer when you are arrested in New York? Each person arrested in New York City gets a free attorney consultation with a government provided criminal lawyer. These lawyers are not all from the Legal Aid Society. Many of these lawyers are new york city defense attorneys who are appointed by the court. These new york city criminal defense lawyers are paid by the government. There are a number of criminal lawyers in nyc that are on the panel that is appointed to these types of cases. Despite what many believe, many of these lawyers are top criminal attorneys. How Do I Find My Next Court Date? Who Arrested? How Do I Find Out If Someone Has A Bail? How Do I Find Out What Someone’s Bail Is? How Do I Find Out What Someone Was Charged With? How Do I Find Out What I Was Charged With? Where Can I Hire A Lawyer To Represent Myself Or A Loved One In A Criminal Case? Where Can I hire A Lawyer to Represent me in a Domestic Violence Case? How Do I get my criminal record sealed in New York? Arraignment Clerk Information – Places to Call in NYC if Someone was Arrested or to find out if someone was arrested in New York City. Wondering how to find someone arrested in New York City? This is a good starting point. Even if someone is in Central Booking or a county detention facility in New York City after being arrested, the Arraignment Clerk might be able to help! New York City has five (5) boroughs. Each borough in New York City is a different county. Each county has a different court. When people are arrested in a certain borough or county, they go to the jail in that county. If you are looking for someone arrested in a specific borough in New York City, you need to know the names of the counties in New York City. Below is a list of counties in New York that will help you figure out what county detention facility someone arrested may be in. So if you think someone is in Central Booking in the Bronx, call the arraignment clerk in Bronx County. If you think someone is in Central Booking in Brookyn, call the arraignment clerk in Kings County. If you think someone is in Central Booking in Queens, call the arraignment clerk in Queens County. 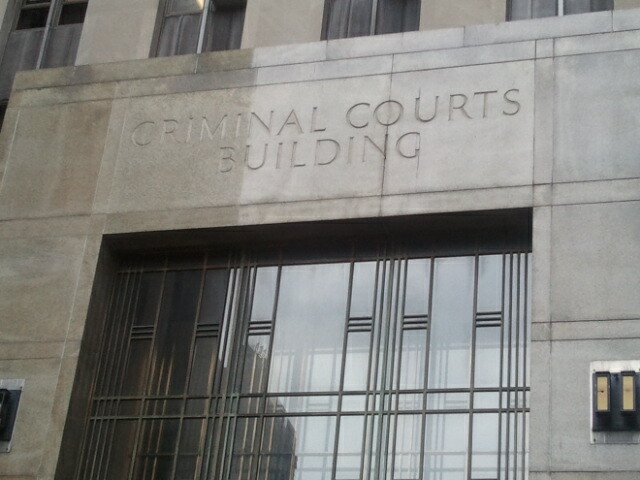 If you think someone is in Central Booking in Manhattan, call the arraignment clerk in New York County. If you think someone is in Central Booking in Staten Island, call the arraignment clerk in Richmond County. If you know for sure someone has been arrested in New York City and you want to find someone arrested in New York City, click the link on the top of the page to get the number to the arraignment clerk in the county in which the person was arrested. CLICK THE ABOVE PICTURE TO CONTACT A NEW YORK CRIMINAL LAWYER! ATTORNEY ADVERTISING This web site may be considered advertising in some jurisdictions under the applicable law and ethical rules. Oeser-Sweat, P.C. does not offer any guarantee of case results. Prior results do not guarantee a similar outcome. 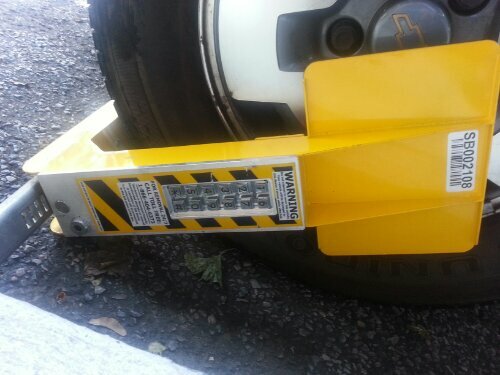 New York City has recently enacted a Policy of putting car tire boots on cars that have more than three hundred fifty dollars ($350) in New York City (NYC) parking violations/parking tickets. You can also be booted if you owe New York City more than $350 in red light camera or bus lane violation tickets that are in judgment. A company called PayLock has been hired to implement this New York City policy of putting boots on cars that have parking violations. The current fees are the same or higher than if your car is actually towed. However, if you don’t pay the fees within two (2) days, the car will be towed and additional storage and towing fees will apply. The system is as follows: A marshal will find a car and verify it has more than $350 in judgments. Once verified, PayLock will be authorized to place a boot on the car. 1) Call the Toll Free Number that is on the BIG Sticker on your window. 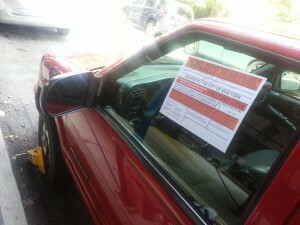 Current cars have 877-207-2134 as the number to call for Boot Removal and Fine Payment. This number is active 24 hours a day. 2) Pay your fine! There will be an additional $180 “boot fee” which is paid to PayLock, a $70 Sheriff’s/marshal’s “execution fee” plus a 5% “poundage fee” in addition to the fines that you have. 3) There are also credit card “convenience fees” which are charged if you use a credit card to pay your NYC Parking Ticket fines. 4) If the motorist or person who has gotten the tickets does not pay the fees within two days, the car will be towed. 5) If a booted car is towed, there will be an additional $185 towing fee (on top of the $180 booting fee). 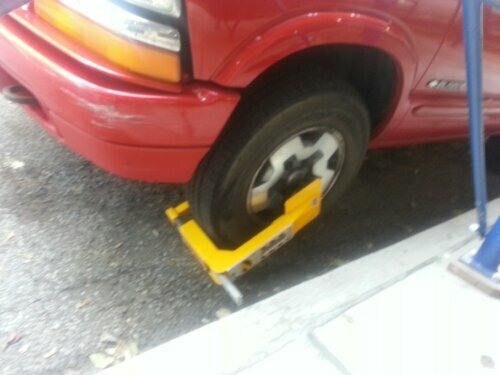 6) If you pay the fines and fees AFTER getting booted but BEFORE getting towed, you must also return the boot to a city payment center within 24 hours or face additional penalties of $25 per day – up to a maximum of $500. 7) If you are towed and your car is sitting in a storage facility/storage yard/pound, there is an additional storage fee of $10 per day for the first three days, and $15 per day after the first three days. 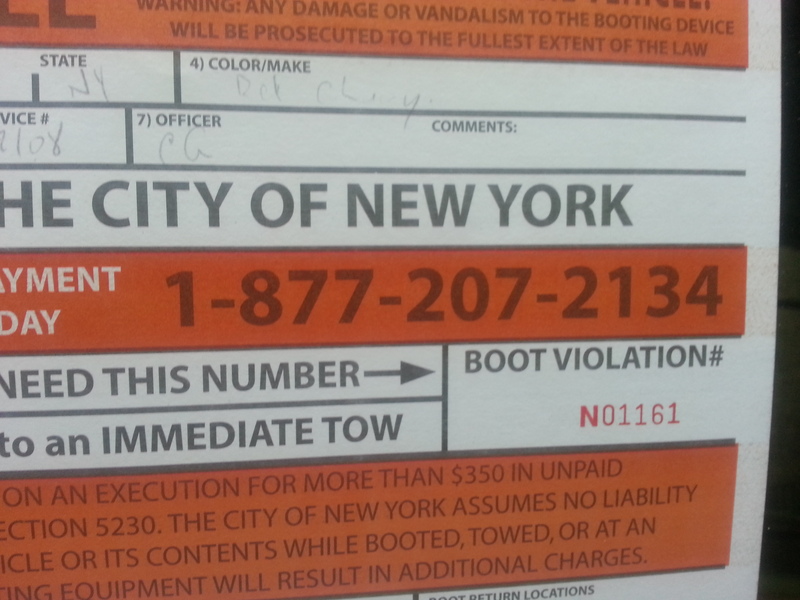 8) Make Sure you take Note of the Boot Violation Number. You may need it. Pay-O-Matic: 9925 H. Harding Expwy. You can pay New York City Parking Tickets online, in person and by mail. Did you know it is possible to pay for your New York City Parking Ticket Violations in installments? Certain residents are eligible for a payment plan! STILL NEED HELP? CHECK OUT CARTOWED.COM FOR MORE INFORMATION!! This list is a list of New York State Correctional Facilities and contains the names and addresses of the State Correctional Facility as well as information pertaining to whether the facility houses male inmates or female inmates or in some cases both. In some cases, the list contains prisoner contact information. This list was obtained from public records and the information on this list can change. We are not responsible for the accuracy of this list as this site is not maintained by the Department of Corrections. You can get more information on the New York State Department of Corrections Website. WORRIED ABOUT JAIL? GET THE FACTS! If someone you know was arrested in New York City and you are looking for that person and trying to figure out what to do, this information sheet will help. It contains important New York City Criminal Court information including Court Addresses and phone numbers. The sheet contains the numbers that you need to call to find an arrest number and a docket number which can help you find out when your loved one will be arraigned in a New York City Criminal Court and when that person will see a judge. 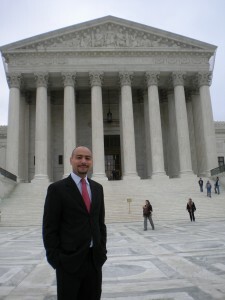 LOOKING FOR A NEW YORK CRIMINAL LAWYER? Little Girl Cartoon Images appear courtesy of J.L. Sweat and appear in Birds, Bees, Babies The Story of the Birds and the Bees. Copyright 2012 All Rights Reserved. An arraignment is when the Court officially takes jurisdiction over a case. Everyone comes together in front of a judge and they formally charge the person with the crime alleged. A plea is entered at that time (GUILTY/NOT GUILTY). If a NOT GUILTY PLEA is entered, the Court must then decide whether the person charged should stay in jail or be released. The Court sets a BAIL. The Court usually tries to assess flight risk when considering bail. This means, the Court, which does not know your loved one, will have to figure out whether he or she will return to Court. They use lots of factors, including the nature of the charges, the person’s job history and educational background, and whether or not the person has significant ties to the community. They also take note of who has bothered to come to court on behalf of the person during the arraignment. IT IS THE LAWYER WHO WILL ARGUE THE BAIL APPLICATION. There may be no BAIL. In that case, the person is released on his or her own recognizance (ROR). That means the person can leave and will come back at a later date. If a bail is set, the person will be held until bail is posted.THE REST OF THE CASE WILL BE DEALT WITH AT LATER DATES. THERE WILL NOT BE A TRIAL ON THE DAY OF ARRAIGNMENT. In New York City Criminal Courts, Arraignments usually happen from 9am to 1am – 7 days a week (except Staten Island/Richmond County). DP stands for “Decline Prosecution” or when the District Attorney (DA) declines to prosecute a case. This means that someone who has been arrested will not have any further action taken against him or her. While the DA can file charges at a later date, often, this does not occur. Sometimes, someone will say they were DP’ed. When someone is released after arrest but before the arraignment (released before seeing a Judge) because the DA decides to decline prosecute a case, it is said that they were DPed. In some situations, a person who was DP’d may want to consider contacting a lawyer regarding a possible civil rights suit and/or false imprisonment, false arrest action. This is especially the case where a person who was arrested suffers damages. Damages can be due to police brutality but may arise from someone losing days of work, having expenses as a result of an arrest, or from property damage that occurs as a result to or incident to an arrest. If you are looking to talk to a lawyer regarding a civil rights case against the City of New York, you should do so RIGHT AWAY. There are may rules that can bar your case if you don’t take action within a certain amount of time. This applies to suits against the City in general, including false arrest, malicious prosecution, excessive force, civil rights, police brutality, false imprisonment, and similar cases. While our firm handles these cases, this information, as with the rest of the information on our site, is provided for informational purposes and is not intended to create an attorney/client – lawyer/client relationship. You should discuss these issues with your lawyer. WWW.CENTRALBOOKING.INFO is run by a private law firm. We have tried to compile information helpful to those who have had a friend or loved one arrested in New York City. This site however, IS NOT RUN BY THE COURTS, OR ANY GOVERNMENT AGENCY. We have tried throughout the site to help the General Public and our clients navigate the arraignment, central booking and arrest process by providing what we believe is information that will be helpful. We have received many calls regarding Central Booking Numbers and the fact that many do not work or just ring. It may be helpful to call the arraignment clerk in the county that your friend or loved one was arrested in for assistance. PLEASE NOTE, THESE NUMBERS CHANGE PERIODICALLY. These Items will be helpful for tracking your loved one through the New York Criminal Courts and Central Booking. The ARREST NUMBER is used by CENTRAL BOOKING and the POLICE DEPARTMENT (NYPD) to track people. The DOCKET NUMBER is used by the CRIMINAL COURT to track a Defendant’s Case. Each case gets a separate docket number. Each time someone is arrested, they get assigned a different ARREST NUMBER. The best way to get information is to call central booking and get the person’s ARREST NUMBER and then call the Arraignment Clerk’s at the Criminal Court in the County in which the person was arrested to get a Docket Number and find out when the person might be arraigned. If someone is arrested, especially when the arrest was in the evening, that person will probably not see a judge until the next day. Sometimes, the person will see a judge the same day. A good rule of thumb, which is not absolute, is that the process can take about 24 hours. OFTEN THE PHONES ARE BEING STAFFED BY ONE OR TWO PEOPLE FOR THE WHOLE COUNTY. THE CLERKS WORK VERY HARD. THEY HAVE TO DEAL WITH HUNDREDS OF CONFUSED PEOPLE A DAY. DESPITE YOUR FRUSTRATION, BE KIND AND FRIENDLY TO THE CLERKS. PEOPLE SOMETIMES FORGET THAT A CLERK THAT PICKS UP THE PHONE IS JUST DOING HIS OR HER JOB AND HAS NOTHING TO DO WITH THE ARREST THAT HAS TAKEN PLACE. BY PICKING UP THE PHONE, THAT PERSON HAS SHOWN THAT HE OR SHE WOULD LIKE TO HELP YOU AND GET YOU INFORMATION, IF HE OR SHE CAN. A LITTLE KINDNESS CAN GO A LONG WAY! Trains: 4,5,6 To Brooklyn Bridge. Walk North. J,M,Z, R, 6 to Canal Street Walk South. Trains: 4 train to 161st Street. An Explanation of the Arraignment Process in New York City Courts. This information is provided so that loved ones and family members of someone arrested in New York City can have information that will help get a Loved One home quicker after he or she has been arrested. These items will help one track someone from arrest to arraignment. See our full video that describes the process from arrest to arraignment for more information. How Do I Get My Property Back After Arrest in New York City? Getting your stuff back after an arrest is not always as simple as asking for it back. One of the biggest questions that first has to be asked is: WHY WAS THE PROPERTY TAKEN? If the property is not claimed or demanded before the 120 day period is up, the property may be disposed of by the Police Department Property Clerk. Summary of Steps that loved ones and family members of someone arrested in New York City should take to help get that person home quicker after he or she has been arrested. These items will help one track someone from arrest to arraignment. See our full video that describes the process from arrest to arraignment for more information. FATHER/HUSBAND DEALING WITH A DIVORCE OR DOMESTIC ISSUE? CLICK HERE!